Looking for an Experienced Gold Coast Orthodontist? Over the last two decades, Dr. Wong has dedicated his skills to helping Gold Coast locals achieve the smile they’ve always wanted. 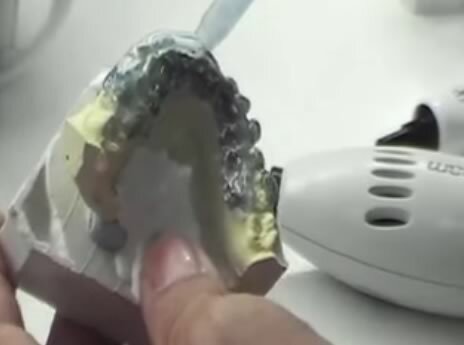 Through innovation and the latest techniques, Dr. Wong and the team at Invisible Lingual Braces strive to offer their Gold Coast and Tweed Heads patients simple, effective and affordable orthodontic solutions. Whether you need braces, or your whole family needs braces, Dr. Wong can tailor a treatment plan to suit your needs, and your smile goals. When choosing a Gold Coast orthodontist, patients often get confined to the orthodontists their dentist choose for them. The great thing about Invisible Lingual Braces is that we welcome all Gold Coast locals, even if you don’t have a referral. Making an appointment with us is easy. All you have to do is pick up the phone and chat to one of our friendly staff about making an initial consultation. We’re one of the best Gold Coast orthodontist practises, and the word about Invisible Lingual Braces is quickly spreading around the Gold Coast. As a local business, we’re passionate about providing excellent service to our Tweed Heads and Gold Coast patients. When you choose us as your Gold Coast orthodontist, you can be assured Dr. Wong and his team will work with you, to achieve your smile goals. You’ll have peace of mind knowing your treatment plan is tailored to your specific needs and your budget. Before your treatment, during your treatment and after your treatment Dr. Wong and his team take the time to educate their patients on their Gold Coast orthodontist services. Throughout your treatment you’ll feel confident and supported, knowing how to care for your braces and your smile, ensuring you get the most out of your treatment. If You’re Searching for an Innovative Gold Coast Orthodontist, Call Us! At Invisible Lingual Braces, we love welcoming new Gold Coast patients, and helping their confidence by achieve the perfect smile. To discover more about our progressive Gold Coast orthodontist services, contact our friendly staff, and start your new smile journey today!